When people recall memories or make decisions neurons are activated and signals are shuttled through a sequence of these brain cells. 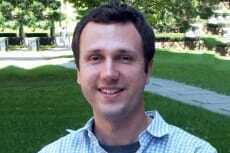 NYSCF – Robertson Neuroscience Investigator Christopher Harvey, Harvard Medical School, co-authored a paper published in Neuron showing that these neural sequences may arise out of networks of neurons that appear unstructured. The research uses cellular level images of these neuronal networks which reveals that the information transferred through the neurons does not move in one, forward direction, but rather the network is “recurrent.” Dr. Harvey’s important contributions to understanding the brain help researchers make sense of the way information is transferred through networks of cells in the brain, and helps illuminate how humans think.